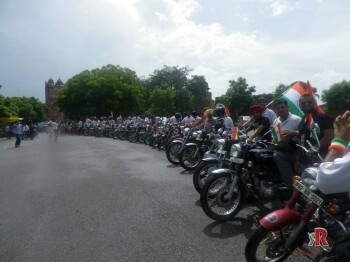 So finally we are here and going to write about the ride we did 6 months back. This ride report will be in few parts as I don’t think I can justify with it one attempt. It was supposed to be a small one day ride but we never expected that we will have so many surprises waiting for us. 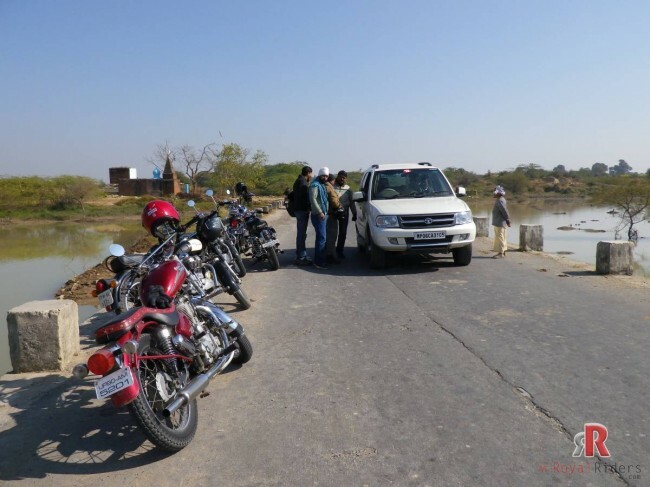 In this ride we encountered ample of things from Chambal Gharyial – the India only species of crocodile family to group of reporters covering us. Then the never ending interior country side roads to the tensed atmosphere just after firing in a village. Even we had some goons trying to spy on us and then lots of military stopping by us. And not to mention flat tyres, jammed wheels and the engine giving scary noises. So this ride was full adventures, fun and not mention the cheating chilling temperature in the night. 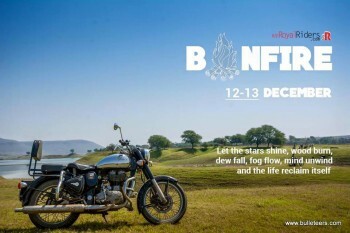 Hence starting with sweet beautiful morning of Dec 12-2012 when all riders started, as usual many were not able to come at the last moment so the ready with energy and full of enthusiasm 7 riders marks the start of Journey, Mr. Khandelwal, Mr. Mohit , Mr. Tiwari , Mr. Rajesh , Mr. Harsha, Mr. Mohsin and Mr. Amit. It was beautiful morning which was not so cold despite of being month of December, the sun was looking beautiful and riders were ready to embark another journey to see the world from perceptive of a biker where there is No Destination but only ways. Slogan looks good, I will propose it in next RR Meetup :) . So the boys started off and cruising through highway, our first halt was on The National Chambal Sanctuary and precisely the Crocodile Centre at Deori which is one of its kind in whole state of Madhya Pradesh. The National Chambal Sanctuary was formed to protect this pristine river ecosystem, complete with its varied flora and avifauna. With its headquarters at Morena, M.P., the Chambal river which is mainstay for the entire wildlife of the sanctuary harbours a variety of aquatic life like the elusive Ganges River Dolphin, Crocodile (Muggar), Gharial ( Gavelia Gangeticus ), Freshwater Turtles, River Otters and a various species of fishes. All of which can quite easily be seen by tourists within the sanctuary area, especially in the middle reaches in the downside of Rajghat Bridge on National Highway No. 3. 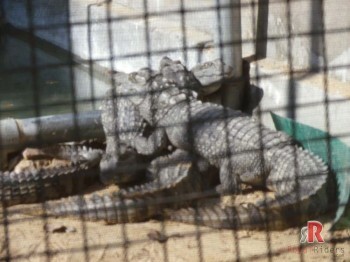 The place is opened for public where people can show the crocodiles are living and flourishing in captive environment. 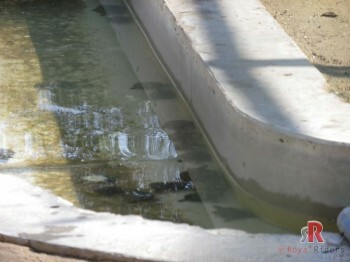 The area was divided in various regions and the species were kept on the basis of their age, there were few weeks old Gharial as well as few year year old Gharial. Once they grow big enough, they are sent back to Chambal river in their natural habitat. 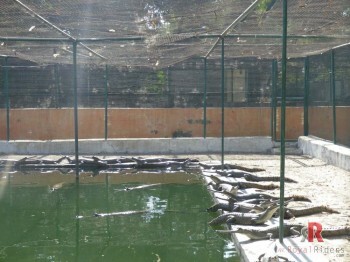 The Crocodile Centre at Deori, Morena in captivity. 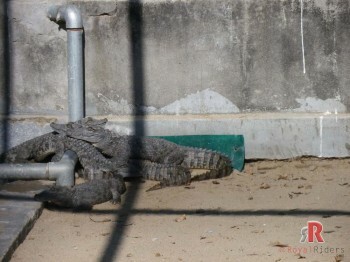 I wonder how they can survive when in captivity they had nothing to do to get food while in wild, they need to find food on their own. May be on next visit I will ask them this question. 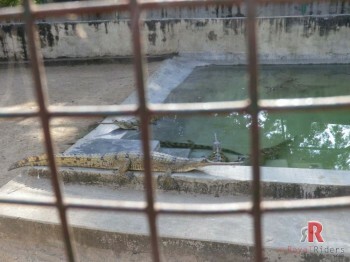 I also need to mention that Gharial are native to India only and are one of the endangered species. This place was accompanied by HIGHWAY TREAT, a small cafe kind of place endorsed by Madhya Pradesh Tourism, after having a cold drink over there, we moved towards our next destination. 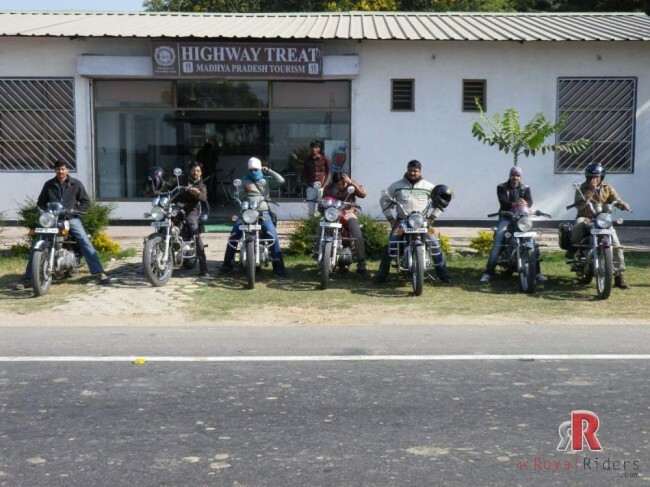 Royal Riders Bikers in front of Highway Treat at Madhya Pradesh, Deori. After leaving from Highway treat, we were heading towards the Sanichara Temple which organizes A grand puja (prayer) every Amavasya Shanivar (moonless Saturday night) and has devotees thronging to the temple in droves. Special narrow gauge trains operate from Gwalior, Agra, Jaipur, Baroda and some other cities to bring devotees to the temple. While in way to temple, through the interiors of Morena , suddenly on a railway crossing bunch of people came out from two SUV and started taking pictures as if they have caught us red-handed and making sure pictures are taken at right time and then they started asking everyone question from where we are coming, where are we heading , was full of surprise for us. It took us a little while to understand the situation. Here I need to remind you that this place we are traveling today has very bad past and was famous for decoits and illegal activities and it is still. Those guys were actually Reporters from various newspaper and were here on coverage directed by MP tourism and they saw us an add-on for their coverage and that is the reason all pictures and questions. 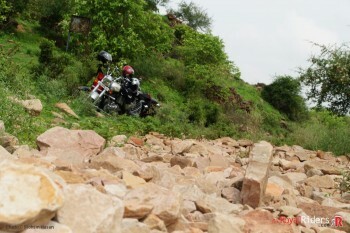 Infact they told about Mitawali, Padawali and Bateswhar temples and asked us to visit them and thus a simple ride turned into a day full of adventure which I will cover in Part II of this ride report. 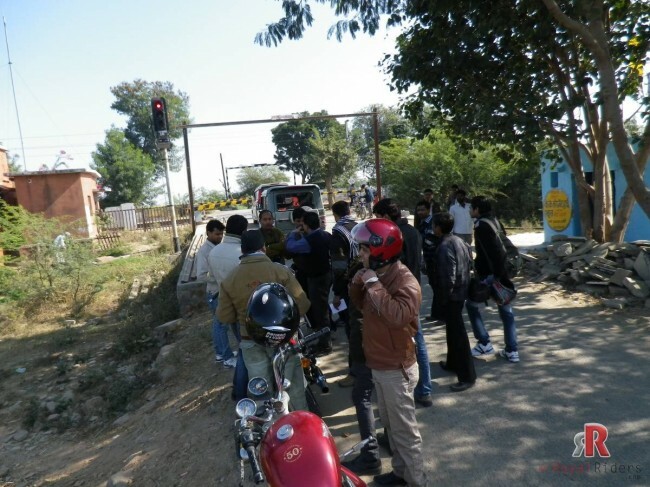 The confused man – why 7 people on 7 bikes ? 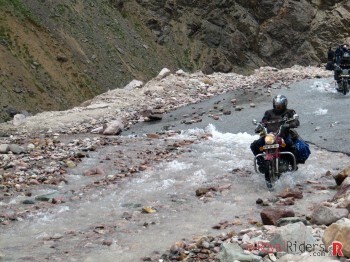 After riding for around 1 hour or may be less, we found a nice small water body and decided have a break. 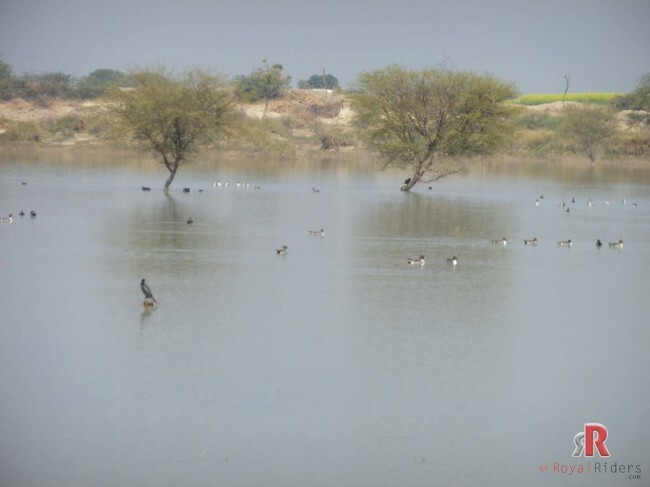 It was quiet nice place between barrens of Chambal with ducks and other birds giving a beautiful view. A small water body in our way through Chambal barrens. Then we have this man who stopped by us and tried to inquire about us, however this time we were cool and he was trying to be polite as much as possible, however after knowing about us , he was even more confused, he wanted us that why 7 people are riding 7 bikes, we could have done away with 3 or 4 bikes or simply could have hired a taxi in which all 7 would accommodated easily. We tried to explain him that we are group of riders and it is the bike and the riding which unites us as this passion is shared by all of us. However, he was not seen being convinced. Finally he departed but he was puzzled all the time. I hope this man will some day understand the spirit of biking and then only he can understand why there were 7 people on 7 bikes ie. 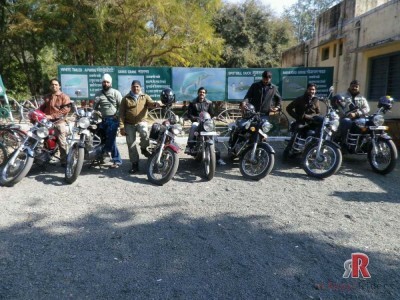 the Royal Enfields and thumbing around the barrens of Chambal. A million – dollar snap. 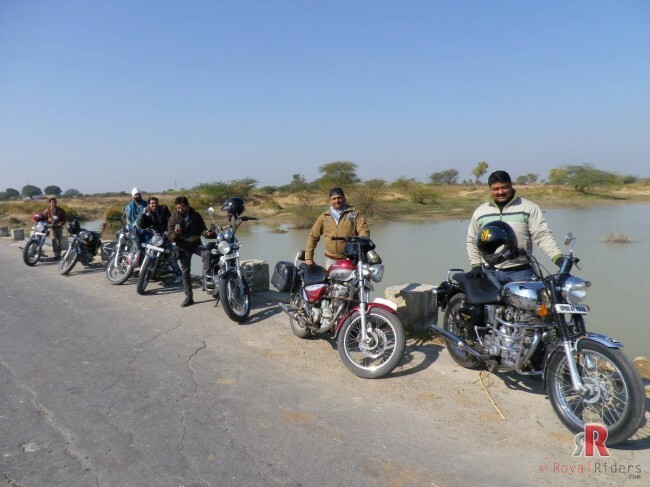 After this break, our next destination was Garhi Padawali, but this moment we were not even sure where we were heading and what we are going to see, after riding for more than an hour though patched and almost non-existing roads and with no sign human , we reached Garhi Padawali. I will rest of the report in next part. 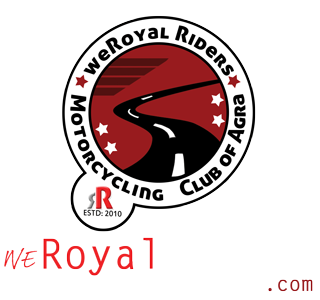 Welcome to world of Royal Riders – Ipteda (the beginning) Part I – Photo Gallery December 2012 RR Ride.